Learn how credit unions mitigate ag lending risks while supporting underserved communities. Helen Godfrey Smith (left), president/CEO of Shreveport Federal Credit Union, stands with member Frank Wilbourn. 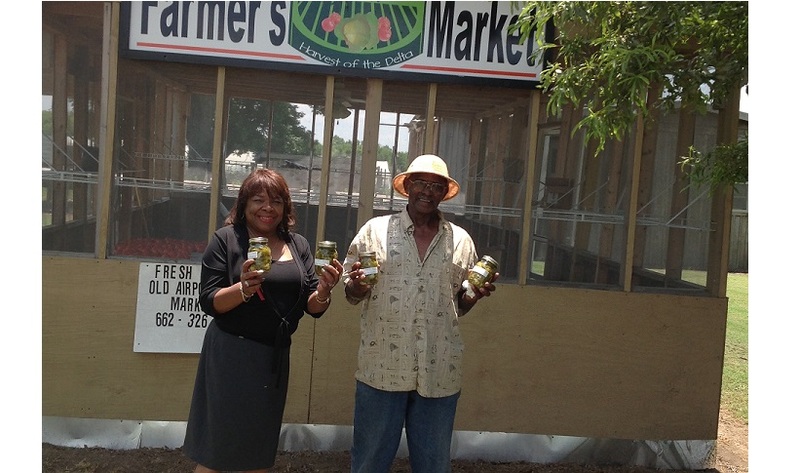 He recently opened a farmer’s market in Marks, Miss., with the help of a credit union microloan. Rows of fresh turnips, okra and watermelons were the images Helen Godfrey Smith had in mind when she visualized the rich, farm land throughout the Mississippi Delta region.